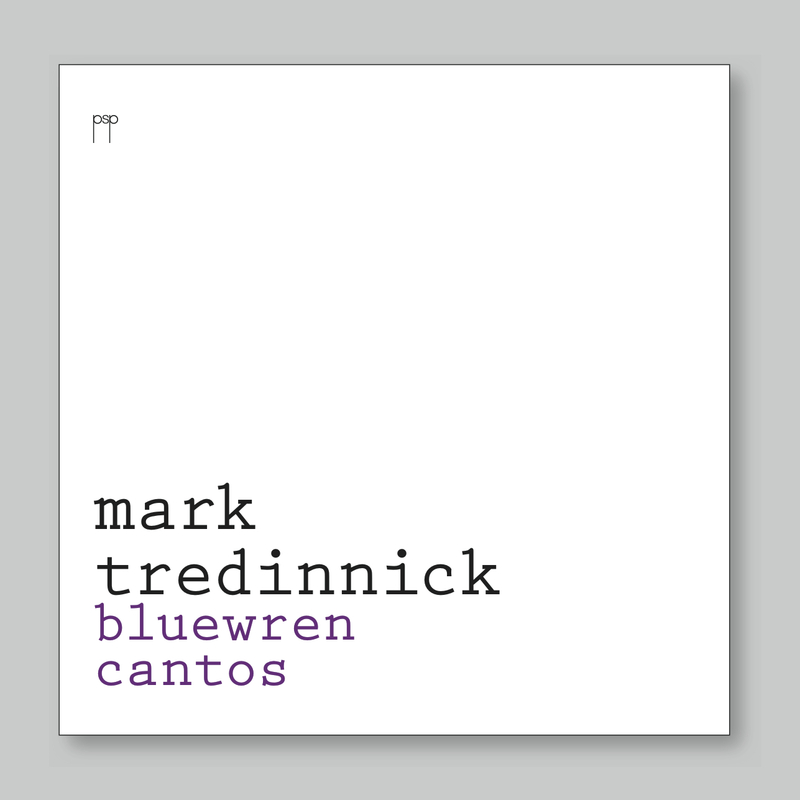 When Mark asked me to launch this new book, Bluewren Cantos, I took a very deep breath before I said ‘yes’. I had already been reading the book, so I knew it was an exceptional collection of poetry. I believe it is a book that will be written about with great excitement by critics and readers for a very long time, so whatever I say today to launch it will be just a brief wren-like twittering, compared with the chorus of praise with which it will undoubtedly be received as it goes out into the world. Bluewren Cantos is not just ‘a book of poetry’ – although it is a very beautiful book, not only because of its contents, but also because it has been so elegantly produced by Pitt Street Poetry, with John and Linsay’s trademark care and thoughtfulness – no, what’s struck me again and again as I’ve been reading is that this is a ‘life of poetry’. The stuff of poetry – words, visions, phrases, observations that stick in the mind or startle other thoughts, memories, associations, quotes from other poets … all these small starters for poems are what every living moment here feels suffused with. They go, not where they start. In fact, there is a feeling for me that the lines could start anywhere – in any moment, with any chance observation – so that longing and love, and meditations on the endless riffs on these within a multi-layered life, must lead, inevitably, to poetry. Like the singing of birds, it all feels artlessly beautiful, but only because of the exceptional art, which keeps the music of what’s being said mesmerizing. Behind the flowing lines and hypnotic melodies, there is as much control of the rhythm and counterpoint and harmony as there is in any of the compositions by Bach or Mozart or Debussy, composers who compete with all the real birds in Mark’s Wingecarribie landscape. Often, Mark’s poems begin with nature – but invariably the solitary presence of the poet reaches out to another person – often a loved person – or, in an intimate connection, to the reader. This is poetry like tightrope walking – a nonchalant, though thoughtful, ambling out into the world, which almost leads us into a transcendental state – only to be caught in a web of emotion and thought and connections to the daily reality of living. I think this is beautifully illustrated by ‘Fight or Flight’, a poem about a butterfly flying into a spider’s web. This could just as easily be a description of reading a Mark Tredinnick poem. So many ‘exquisitely laid’ webs, so much pleasure in being ‘elegantly caught’. If all this sounds very serious, it is. But Mark’s poems are also full of contrarily playful paradoxes and wry humour. His tone may be debonair, well-dressed and conscious of manners and historical allegiances, but for all the hypnotic oratory, his voice is both questing and self-deprecating, and the earth he walks over is emphatically today’s. This is a world of therapy and co-dependency and anxieties about what is happening to our planet – just to mention a very few current or topical concerns. It is also a world of travel and work – and very notably and memorably – of family, of parents (as remembered from childhood, or ageing now) and children (those blessed ‘thieves of our time / love’s worst scoundrels’, taking the best and worst of us. There are so many arresting images and lines in Mark’s poems, it is tempting to quote and quote … although where would I stop in any one poem? There is such a flow of words; one memorable moment just leads on to another. …………………………………………on the cloudbank as they come. The book is called Bluewren Cantos, and there are so many beautiful poems about birds. For that alone, it would be a treasure. When I first started reading Mark’s book, in a very hot January when cicadas were the most deafening choirs all around our house, the dollar birds who visit us each summer were also in residence. I saw one at twilight on the same day I read Mark’s dollar bird poem, and it was one of those electric shock moments that can come when poetry connects absolutely with life. What is the world worth these days, do you suppose? Is ten thousand expensive things heaven forgot to say. Two of them for the price of one, and flies away for free. Congratulations Mark! Apart from the excellence of the writing, what we have here is a BIG book, in a multitude of meanings of that word. It is an awe-inspiringly generous collection of poetry, abundant with language and vision and experience. I’m honoured to be launching it, and I wish it great success and the very many appreciative readers it deserves. May they be as enriched by reading it as I have been. Jean Kent has published four collections of poetry. Her most recent is Travelling with the Wrong Phrasebooks (Pitt Street Poetry, 2012). This entry was posted in Bluewren Cantos, Issue 11, Jean Kent, Mark Tredinnick, Pitt Street Poetry and tagged Australian Literature, Australian poetry, poetry by Mark Roberts. Bookmark the permalink.